Central Colorado is a Golfer’s paradise. The affordable, challenging golf courses located in the areas small, quaint towns offer stunning panoramic mountain views, fresh mountain air and a relaxed time on the green. At over 10,000 feet the golf course in Leadville boost of being America’s highest. Watch how far your ball will travel at this altitude. 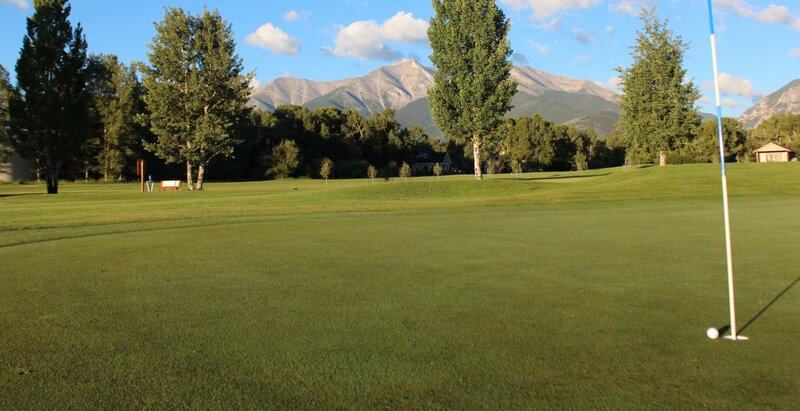 Buena Vista & Salida both have 9 hole courses with stunning views. Golfers will delight in the peaceful, unpretentious atmosphere. It’s hard not to be relaxed and enjoy your day when playing on these greens. For those who take it all a bit less seriously there is miniature golf. This family favorite activity is fun for kids and adults alike.